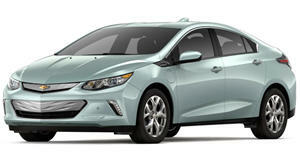 Even before it first went on sale back in 2011, the Chevrolet Volt was deemed controversial, no thanks to the likes of Rush Limbaugh and his pack of EV/hybrid/Plug-in car-hating cronies. But to purposely set some Volts on fire? Yep, that would be arson, and it happened to a San Francisco Bay Area Chevrolet dealership just last week. Police and fire fighters were called to the scene at almost midnight to the Novato, California, Chevy dealer. Originally, crews suspected the Volt fires were caused by a nearby brush fire, but that proved not to be the case. Ah yes, the joys of surveillance cameras, which caught the arsonist doing the deed. Two of the Volts were melted beyond repair while the other two might somehow be salvageable. In any case, the Volt-hating arsonist is still out there.